One of my regular customers needed a birthday card for her daughter. Her daughter loves to cook. So I decided to do a recipe theme. There weren’t a lot of ideals out there and mostly were for birthday invitations. So I took some bits and pieces from some cards on the internet then added my own ingredients (ideals came from the mom on how they celebrate birthdays) to make a personalized birthday card! 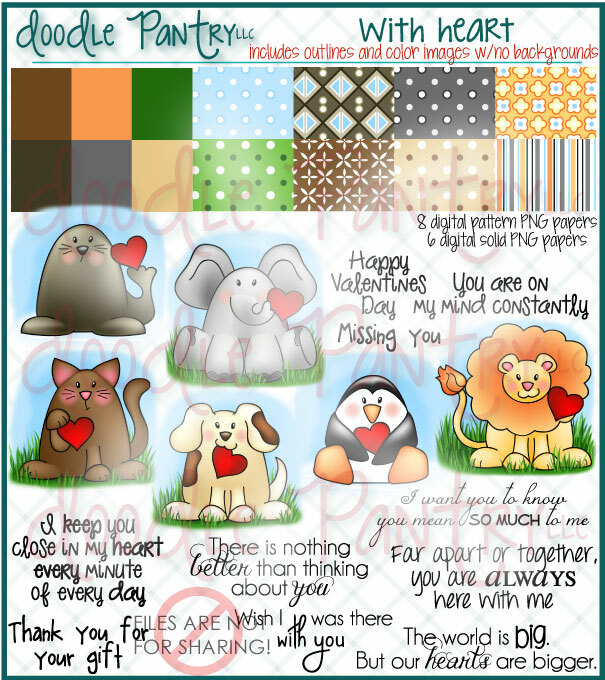 1) April Inspirational Card Challenge – lift Category – used Doodlebug like my friend Cardiographer does! A farmer, a cool pop and a BBQ griller! So one of the girls at work needed 3 Father’s Day Cards. This dad she said like cows and was a farmer so I said I can do that! When trying to figure how to make it Father’s Day card my husband came up with the inside sentiment “Milk it for all it’s worth!” I loved the saying and so did the lady at work. I think I might make this into a birthday card by tying balloons to it’s tail! 1) June Inspirational Card Challenge @ Scrapbook.com – Favorites Category – I used Freshly Made Sketches #1. I love this sketch and have used it several times over the years. Patterned Paper: cow paper found on the internet. The sentiment is on a piece of the cow paper that comes with the digital stamp. I showed her the paper from Photo Play – This Guy Line – Keep It Handsome and she said this image was perfect. I used this card by Jody Marrow as my inspiration for the design. 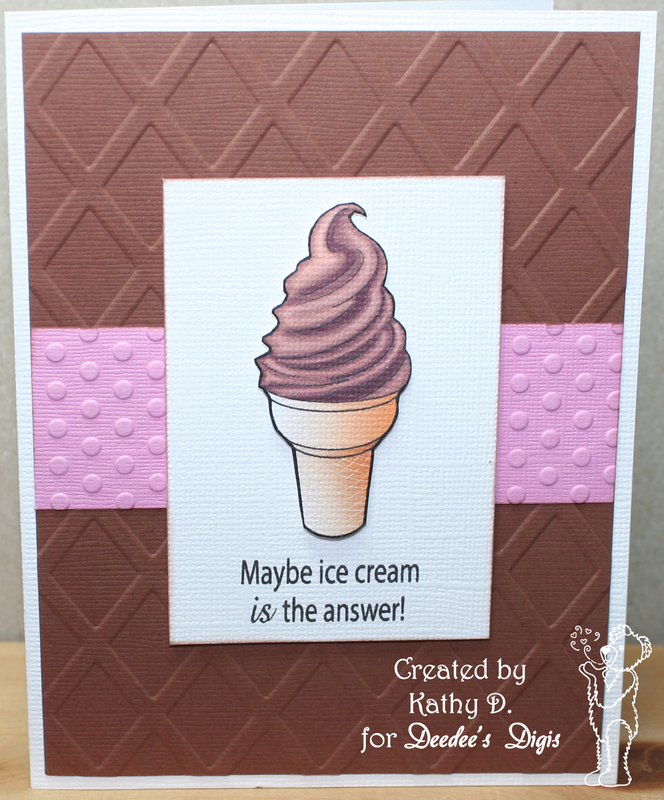 June Inspirational Card Challenge @ Scrapbook.com – Favorites Category – I used this card by Jody Marrow as my inspiration. And her other dad likes to grill. I made a card for him about three years ago but this is a completely different image and feel to the card. I found Team Dad by Echo Park at my local scrapbooking store and thought it would be perfect for several cards. I ended up messing up one of the cards so I cut the grill out of it so I could pop dot it on top of the original image. June Inspirational Card Challenge @ Scrapbook.com – Favorites Category – I used Mojo Monday Sketch #420 for my inspiration. I didn’t get to play in time for the NSD Sketch Challenge but I was inspired by sketch #4 (original was from zrobysama.com.ua). I found these papers in my scrap drawers and thought the circle images would work in place of the flowers. I think it turned out pretty good! 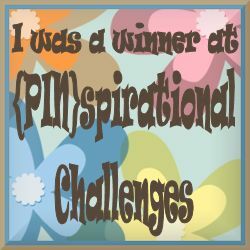 1) June Inspirational Card Challenge – favorites category. 2) Allsorts Challenge #365 – in the Pink! A friend of mine is a nurse supervisor in a doctor’s office and asked if I would make birthday cards that she can give each employee on their birthday. Of course I said, “YES!” She saw the one I did similar to this and wanted this style for the first birthday that is this Friday. I hope Jodi likes it! 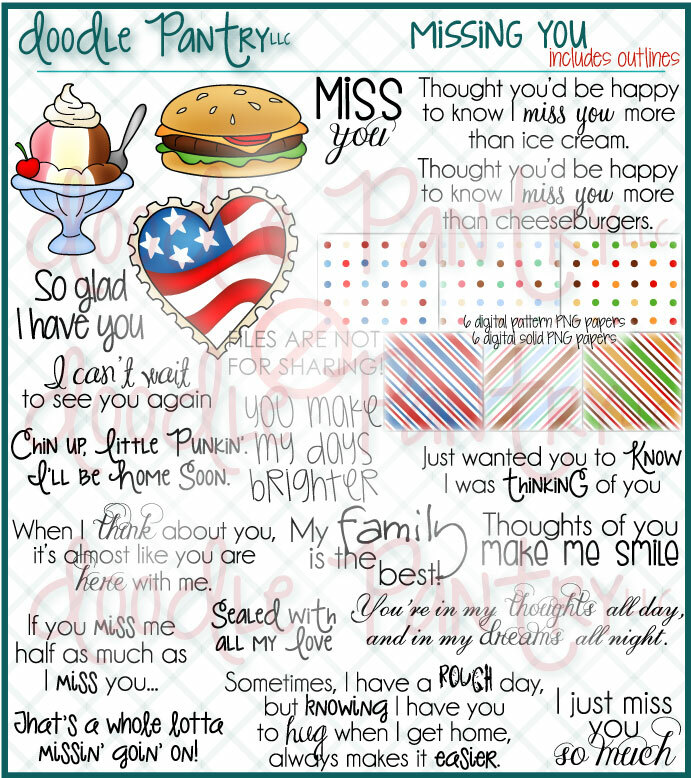 Imagine That….digis by Kris – Customer Link Up – make a card using an Imagine That and link it up…easy as that! 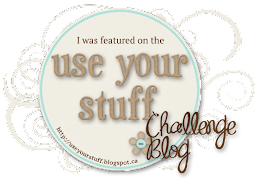 Sketch Saturday Challenge #385 – use any past sketch you have saved in your favorites. Scrapbooking Blessings Club has an Anything Goes challenge this month with an optional twist of Watercolors. I usually try to do the twist because I like challenges that make me think outside the box or outside my comfort zone. I did try to do the twist but after several failed attempts I went back to the good ol’ faithful pre-colored digital image! I’m pretty sure if you have ice cream and Jesus you can get through anything! 1) Scrapbook Blessings Club – Anything Goes – optional twist of watercolors. 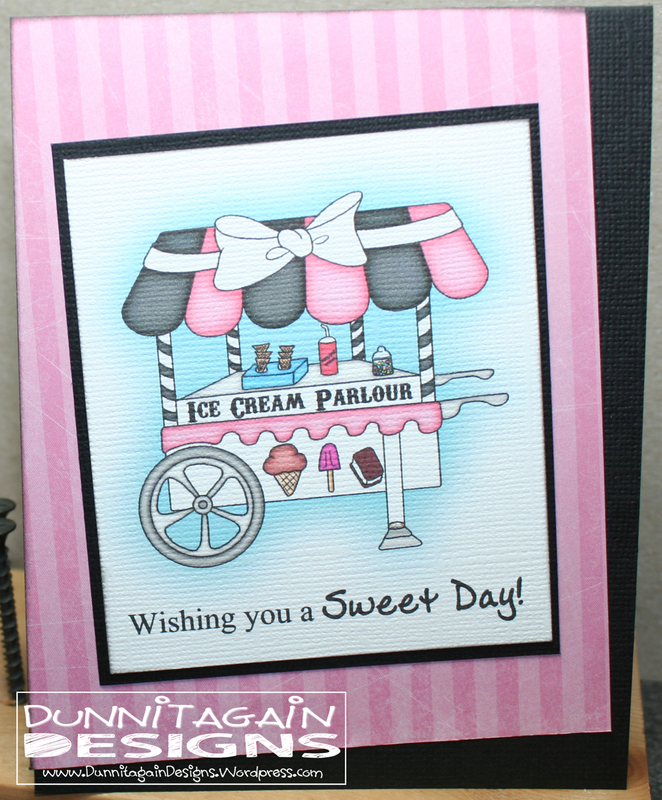 A Sweet Day….just in time! Made it just in time with 5 HOURS to spare but here is my Digi of the Month creation over at Imagine That…digis by Kris. Even though I am usually one of the last to enter it wasn’t totally my fault this month!! 🙂 My computer died in the middle of the month. Then last week when I was trying to get stuff ready to go to the annual scrapbook retreat my printer started dying and wouldn’t print correctly. Apparently I print too much and wore down the print head! So hooked up my new printer last night just in time to get this challenge done. I went pretty CAS on this card which is not my comfort zone but I like the design from SHEL9999 card at Scrapbook.com that is the “Lift card” for the July Card Challenge @ Scrapbook.com. The patterned paper was from my scrap drawer and I can’t remember whose it is…but I’m thinking it was from Hobby Lobby but I’m not positive. 1) Imagine That…digis by Kris – Digi of the Month Challenge – use the image provided and next month’s image will be emailed to you FREE!! 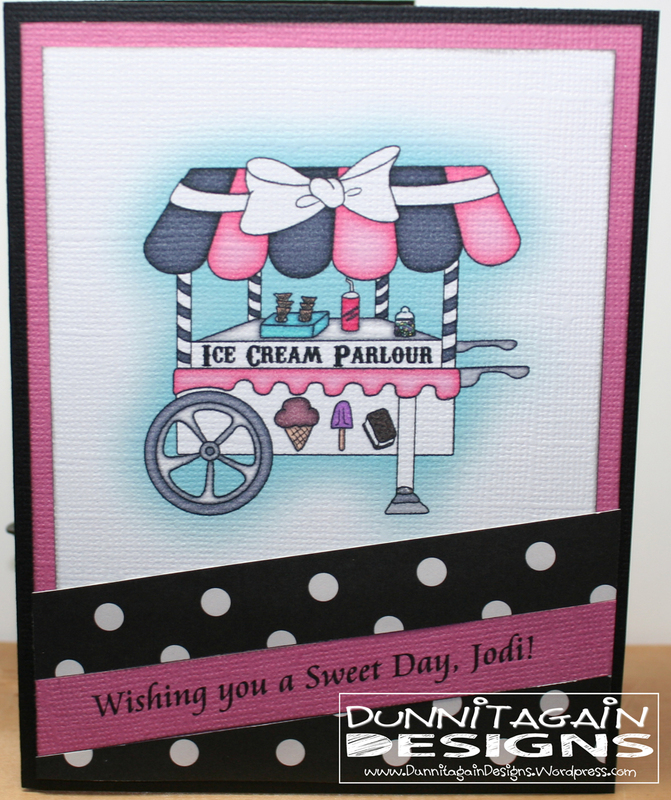 Digital Image: Ice Cream Parlour – Imagine That…digis by Kris!